I highly recommend any book written by Michael Phillips. The Cottage is no exception. It is a beautiful romance and a compelling Christian fiction read. 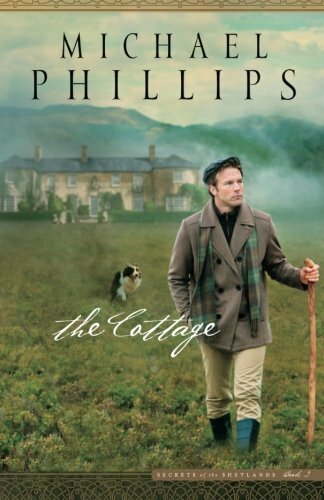 As is common in Phillips’ written works, The Cottage is a lesson-filled book. It is a comforting read, a relaxing read, while at the same time a spiritually and morally challenging read... if you are listening. I pray that you listen. I'm going to encourage you now to read The Inheritance, the first book in the Secrets of the Shetlands series, if you haven't already and to then read The Cottage. I believe that sharing a few lessons that I picked up from the story and then a couple of great quotes can speak for themselves to the value of the story. Enjoy! You cannot judge character at first glance. You cannot expect a level of openness from someone that you will not give yourself. There is honor in not speaking unkindly of another person, even when it may cause great jeopardy to yourself and/or those you care about. This requires character; a portion of which comes from understanding the need to place the entirety of our lives in Gods’ hands. — Kempis’s Imitation of Christ. As a reviewer for Bethany House Bloggers, I received a review copy in exchange for my honest and unbiased review. My thanks to the author and publisher.